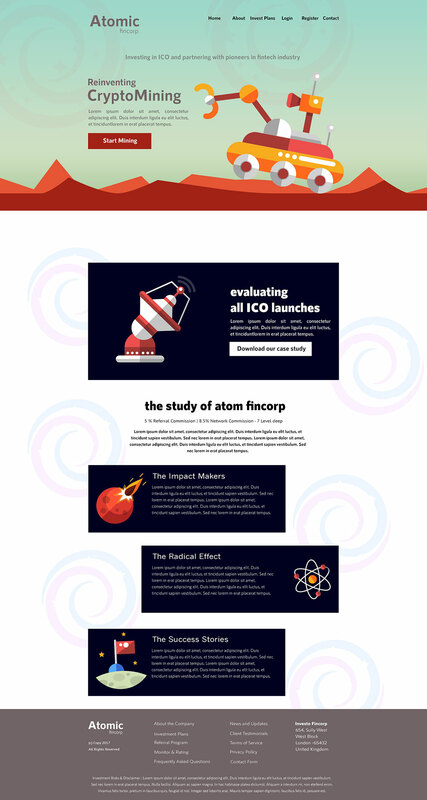 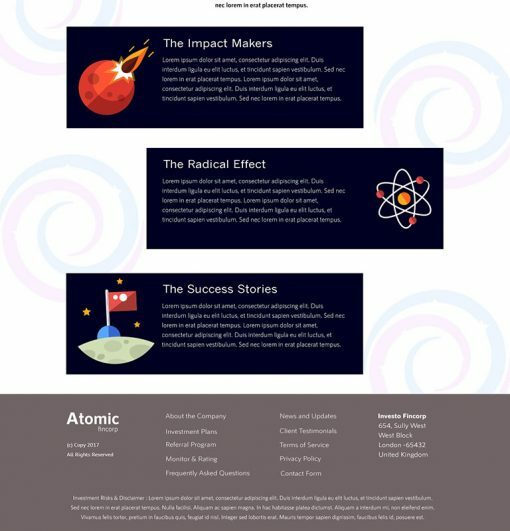 Atomic is the cool modern template specially designed for Coin Mining Related Websites and ICO related websites. 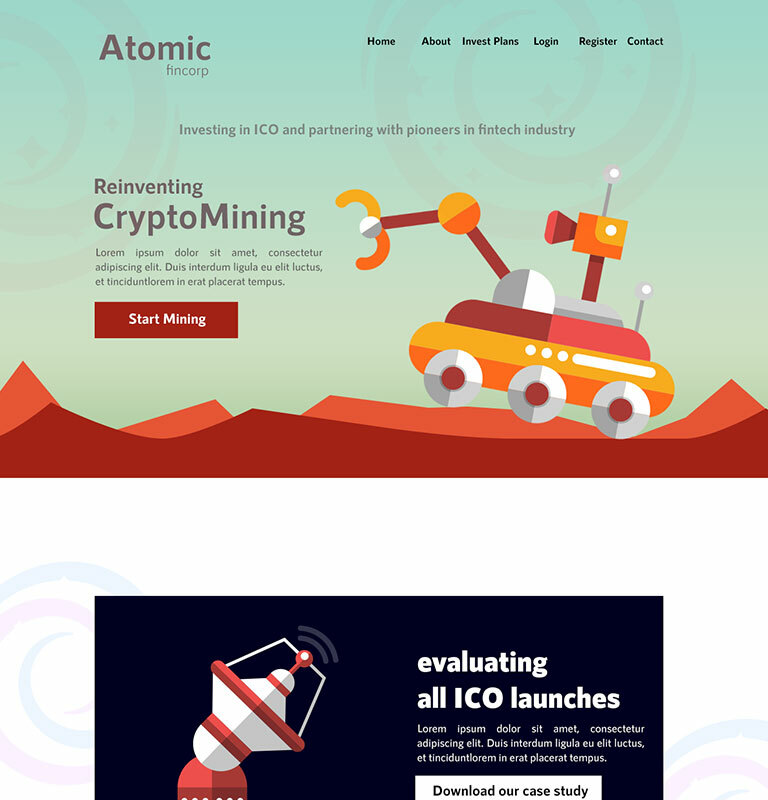 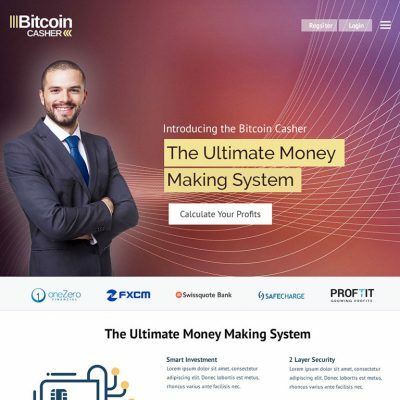 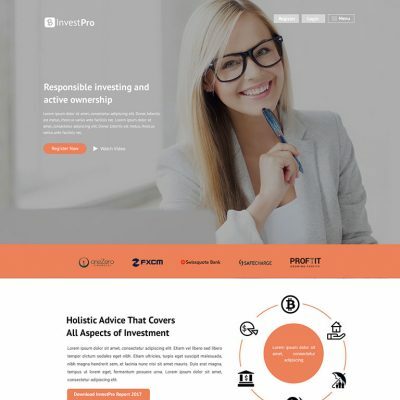 The modern color and sci-fi look make it suitable for Bitcoin Mining Programs and ICO Startups. 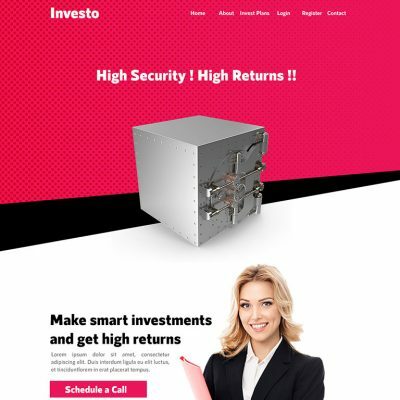 Please contact support team via Live Chat or Contact Form, they’ll share more details.